Small things can have a major impact on your organization. A couple of associates mishandling (and damaging) a few products in one store might not seem like that big of a deal. But compound this behavior across every location for a multinational retailer, and suddenly you’ve got a pretty serious shrink problem on your hands. And what about mishandling a customer interaction? In a world where social media gives customers a powerful voice, all it takes is one forgetful associate, one bad customer experience, one tweet to spark a social media frenzy and thrust your brand into the spotlight—for all the wrong reasons. In most cases, it isn’t that associates aren’t trained, it’s that they aren’t effectively trained. Suddenly, gaps in knowledge and bad habits are exposed, and associates make mistakes because they don’t know what to do or they simply forget what they learned in training. But you can’t blame employees for forgetting. It’s human nature! In fact, the forgetting curve shows we forget 90% of what we learn within 30 days if it isn’t reinforced over time. Which explains why so many associates do the wrong thing and exhibit the wrong behaviors on the job. They simply forget—or, in some cases, just don’t know what to do—because the knowledge and skills they need to succeed on the job haven’t been ingrained. I look both ways before I cross the street and I brush and floss my teeth regularly. As an adult, I do these things without even thinking because my mom continuously drilled these behaviors into my brain as a child. Just as parents instill good habits in us as kids, so too can employers. The problem is that traditional training tools don’t allow employers to ingrain the right behaviors in the same way that our parents did. Plus, influencing and ingraining behaviors takes time. Traditional training falls short because its one-size-fits-all approach fails to address these unique gap. Employees are firehosed with everything they may need to know all at once, tested on content while it’s still fresh, and then sent back to work. While this type of training checks the box, it can leave employees feeling inundated, unmotivated, and ill-equipped to do their jobs. It also does little to engage employees, change behaviors or create good habits—and that’s when associates make mistakes. But it’s understandable. Had my mom sat me down and told me everything I needed to know in one afternoon, there’s no way it would have stuck—and not just because, at the tender age of 5, I had the attention span of a flea. (Even as adults, our brains can only absorb so much in one sitting.) And if that was the only time she ever told me that information, you’d better believe I’d be making mistakes and forgetting to floss. The good news is behaviors can be nurtured until they become second nature. That’s how habits are formed—by repeating and reinforcing behaviors. Over. And over. And over. Remember that forgetting curve I mentioned earlier? (How’s that for reinforcement?!) With traditional training, information is delivered all at once, which can be both overwhelming and unmanageable for associates. Because the right information and behaviors aren’t continually reinforced, it can lead to forgetting and leaves room for bad habits to form. That’s why modern training—or microlearning—is so effective. Microlearning delivers doses of training that fit into associates’ daily workflows, which means they can complete training in just minutes from anywhere, on any device, at any time. Unlike traditional training, microlearning takes the forgetting curve (and other brain science principles) into account, so it adapts continuously to ingrain the knowledge and drives behaviors associates need to be successful. It detects and corrects the wrong behaviors early on to nip bad habits in the bud and prevent accidents or mistakes from occurring. Think of microlearning as a multivitamin for your workforce—but instead of being packed with nutrients, it’s packed with job-critical knowledge that is continually reinforced. 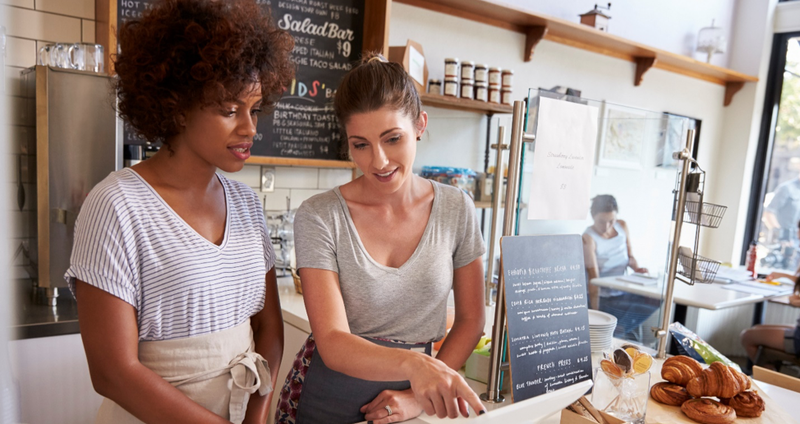 And, when training—whether it’s a store policy or the latest promotion—is reinforced, it reminds employees what they need to know to do their jobs, while influencing behaviors to develop the habits they need to excel. So, what do motherly advice, microlearning, and multivitamins have in common? They’re all forms of preventive medicine. But don’t forget, preventive medicine—in any of its many forms—isn’t delivered all at once; it’s delivered in several small doses, spread out over time. And that’s why it works so well! Caily is our resident retail whiz with a passion for CX. She’s spent more than a decade partnering with industry leaders to ensure success in strategic planning and omnichannel execution of national programs—so she knows the deal when it comes to the retail industry.